Clayton Art & Wine Festival Coffee Winner! We would like to thank everyone who stopped by and sampled and/or purchased a bag of PJ's Roasted Bean Coffee at last weekend's Clayton Art & Wine Festival. We are happy to announce that the winner of the of the free One Year (12 Month) PJ’s Premium Coffee Selection Club Membership* (*Get one (1) - 12 oz Bag of Coffee Each Month for 12 months) is Kellie Hunt. 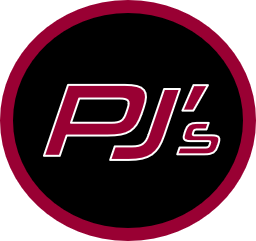 I would also like to thank the PJ's Team for the many hours they volunteered to help make the Clayton Art & Wine Festival a success. All of the proceeds raised by the Clayton Art & Wine Festival are donated back to the local schools and community.